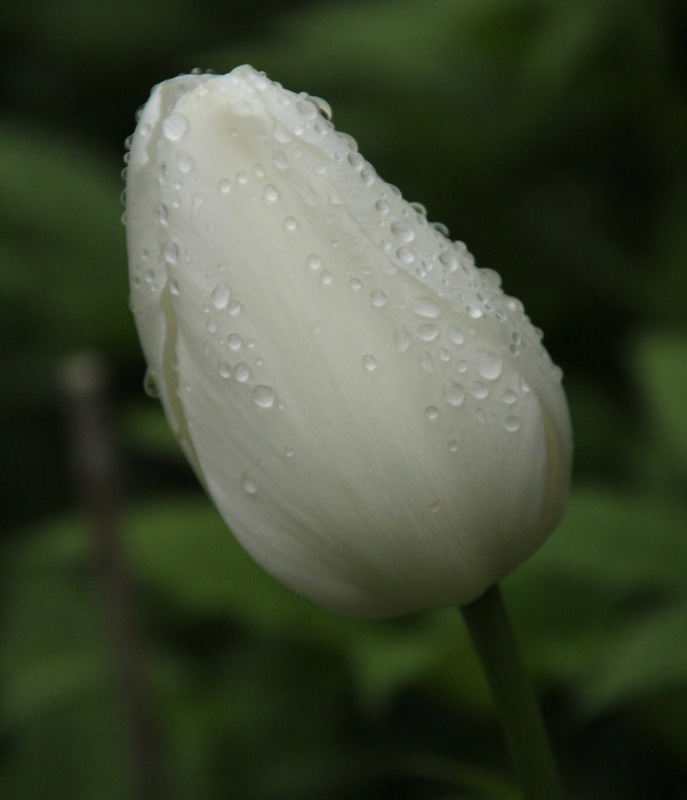 ‘Maureen’ tulip bulbs bloom in late spring. 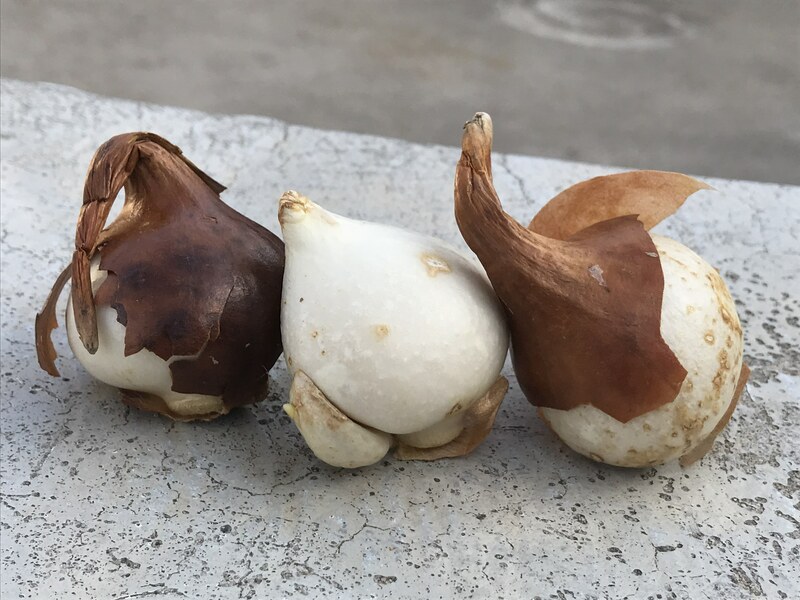 In the darkness of a warm, late November evening, my sister planted hope for the spring in my garden: five waxy-smooth, tear drop-shaped “Maureen” tulip bulbs. As she dug the bulb planter into the moist earth, the soil released fresh scents of spicy bee balm, native geraniums, and the pleasant odor of dirt and old leaves. We nestled each bulb into its own little chamber, filled each space with dirt, lightly watered them and returned the blanket of fallen leaves. I placed a temporary cover of chicken wire and stones on the soil, until it freezes, to discourage squirrels from digging up the bulbs. 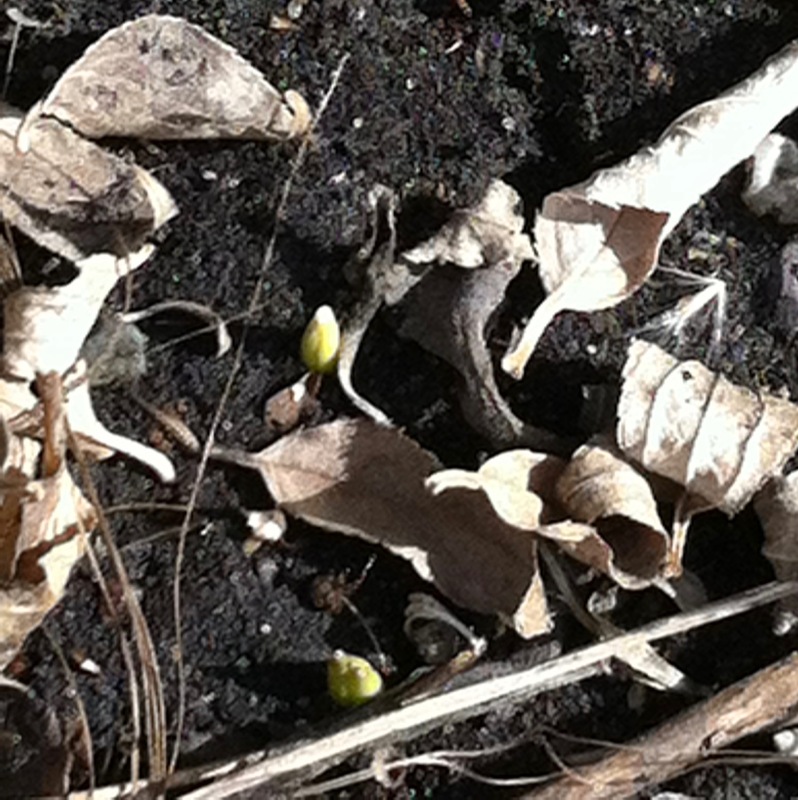 Spring bulbs emerging from their winter sleep is a highlight of spring for me. I think about those small packets of life tucked into the dark earth, and wait for them to ride out the winter. Yes, it’s later than desirable to plant bulbs, but it is how it worked out this year for many reasons. I choose to have hope that they will survive. While I wait, I’ll dream of a mild April day when I’ll walk out the back door and spot bright green shoots poking up through the wet soil. I’ll watch them form buds and bloom; cool ivory against a field of blue Siberian squill and green foliage. In a special way, I will recall the two “Maureens” in my life: a wise aunt who died this past summer and a wonderful young niece who shares her name. A ‘Maureen’ tulip from a previous spring.